And during more temperate weather this park is packed with users. The basketball courts are filled, as are the tennis courts, and mothers watch their children on the playground. 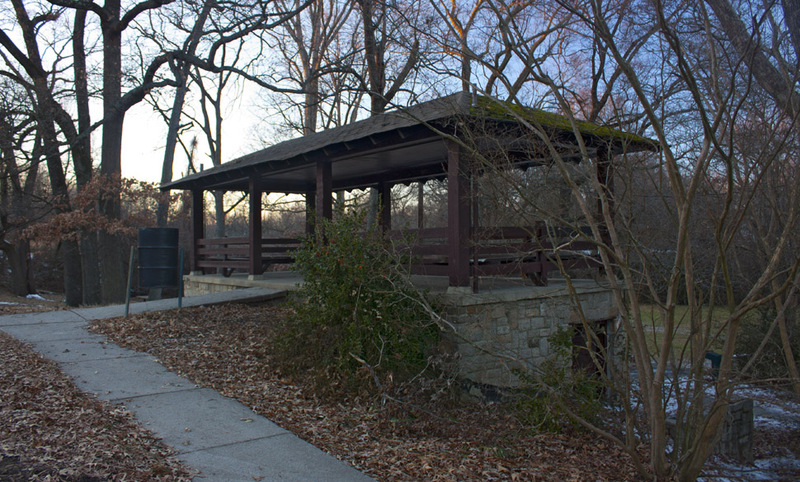 It would be great if the city would repair the WPA structure soothe bathrooms were accessible and usable again. That rec center is not in use. The bathrooms on the East side of the park are functional and open now, but those in the pavilion pictured above are not. The spraygrounds were also removed. They were supposed to be updating this park through a funded CIP. Howver, I can't really tell what they did other than remove the spray ground. "I'm tired of spending hours trying to guess my way through the terrible indexes that plague books of Durham history." Jean Anderson once told me how much she disliked the publisher's version of her own Durham County index, and how the next edition would include a better one. I used to feel the same way until the day Google scanned her book! Google used to be a godsend on her book, but for whatever reason, it's gotten worse lately. More pages where the actual pages don't show up, and (more problematic) more pages where the page numbers don't show up correctly (i.e., it gives "Page V: This page is not part of the preview..." When researching this post, I eventually figured out that "Page V" was page 357. Maybe the next edition of Jean Anderson's book will have an ebook edition. I've been using the kindle software on my laptop and iphone and it has been a godsend for reference material and academic lit. The building has recently been bricked up. We were there this morning and saw that the stone walls were removed and the entrances to the non-functioning bathrooms blocked up. There are a lot of aspects of Durham's history that are poorly documented and difficult to research. But sometimes it seems like I may be the only person who has ever been interested in the history of Durham's parks. Like many of Durham's parks, East End and Long Meadow are comprised primarily of lowlands adjacent to one of Durham's multitude of creeks - in this case, Goose Creek - a tributary which flows north-northeast into Ellerbe Creek. I seem to remember reading at some point that both East End Park and Long Meadow Park were donated to the city by John Sprunt Hill. After trying to confirm this for 30 minutes or so, I decided that I'm tired of spending hours trying to guess my way through the terrible indexes that plague books of Durham history. So they probably were. 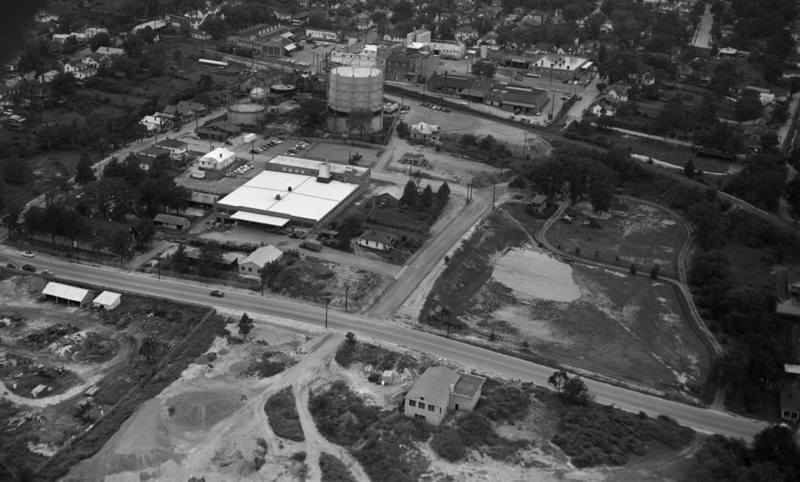 The two parks were a half block away from one another, separated by a City of Durham public works site and the Wright Manufacturing Co. 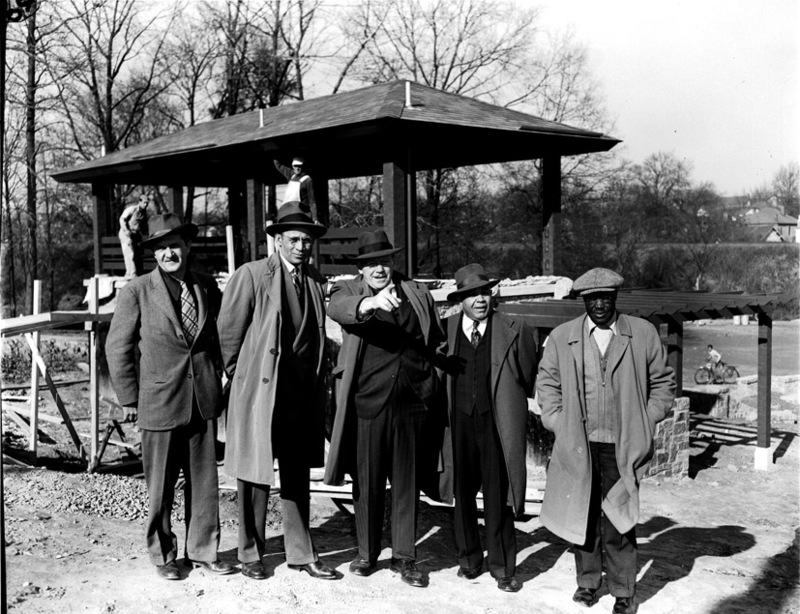 But the primary distinction between the two was race: East End was an African-American park, Long Meadow a white park. 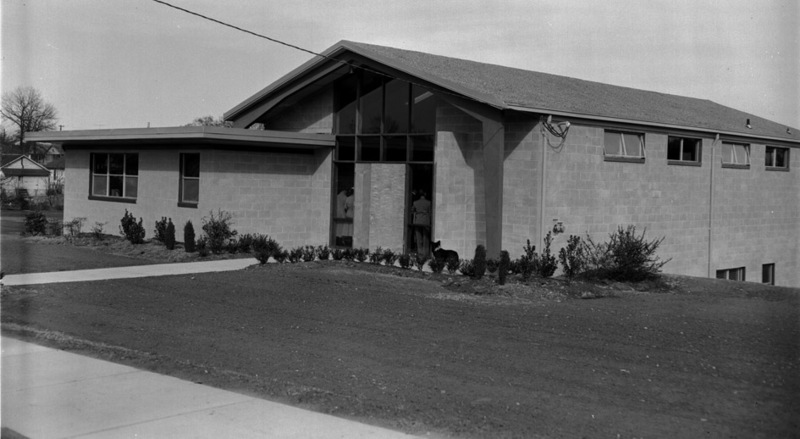 A community center named after E.D. 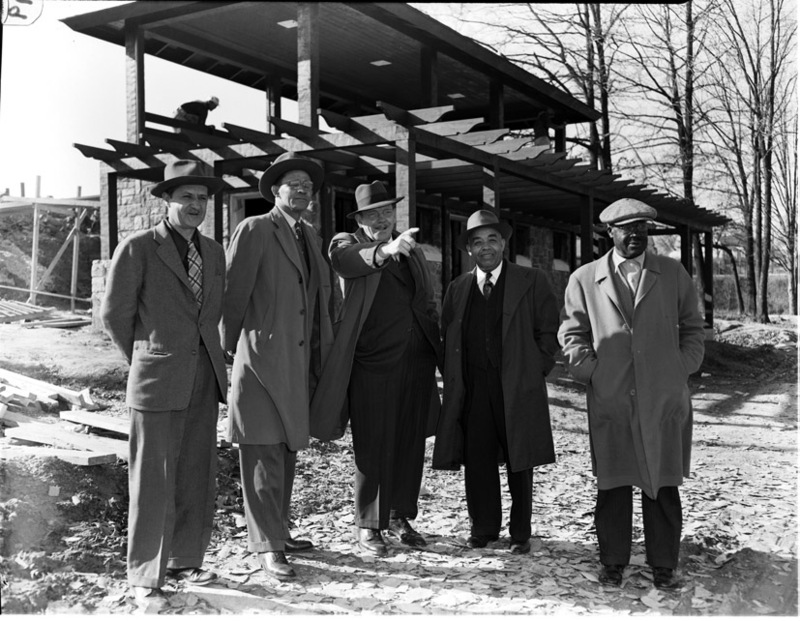 Mickle, who I can only say served on the board of trustees for the first library to serve the African-American community, was built in the mid-1950s. East End Park, looking southwest, late 1950s. East End Park was eventually desegregated and improved significantly with tennis courts, climbers, a basketball court, sprayground, and baseball diamond. Despite their close proximity, Long Meadow and East End have never been united; it would seem fairly obvious to me to relocate the city transportation site / sign shop and create a connection along the creek between the two parks. Of course, with Alston Ave. running through the middle of this park, creating continuity / connectivity doesn't seem to be the direction the city is going in. Although this section is not in the eleven blocks of Alston, that, once widened, will enrich all of East Durham and allow teleportation, it seems a matter of time before the section north of Holloway is declared a bottleneck because people can't speed through it. And those kids crossing the street to their parks and elementary schools! What a nuisance to rapid vehicular travel! East End Park, looking east towards Alston, 01.13.11.